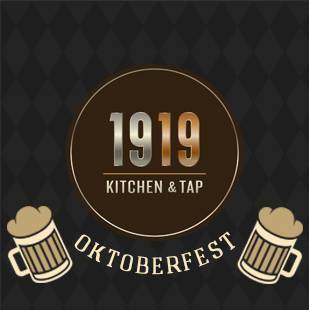 Oktoberfest is coming to the patio of 1919 Kitchen & Tap! From 2pm until 6pm, we'll be serving Brats, Fall 1919 Chili, Soft Pretzels, and seasonal beers from Leinenkugel. We'll have a live polka band and Oktoberfest-style contests to win various prizes.